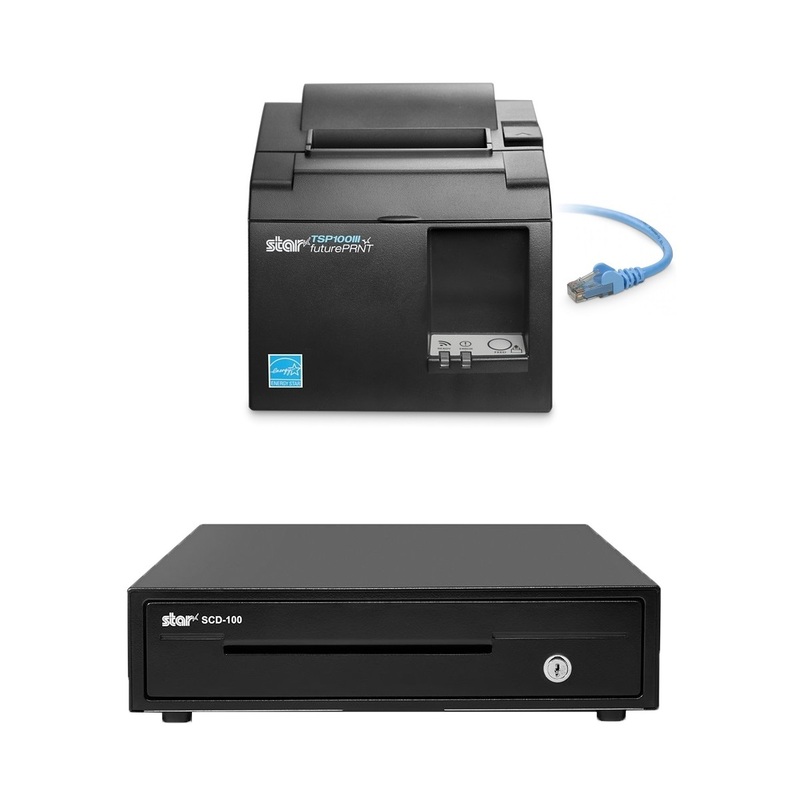 Bundle your Star Micronics TSP100 USB Receipt Printer with the Compact Star SCD100 Cash Drawer.Ideal for any environment and perfect for areas where you require a small footprint cash drawer. 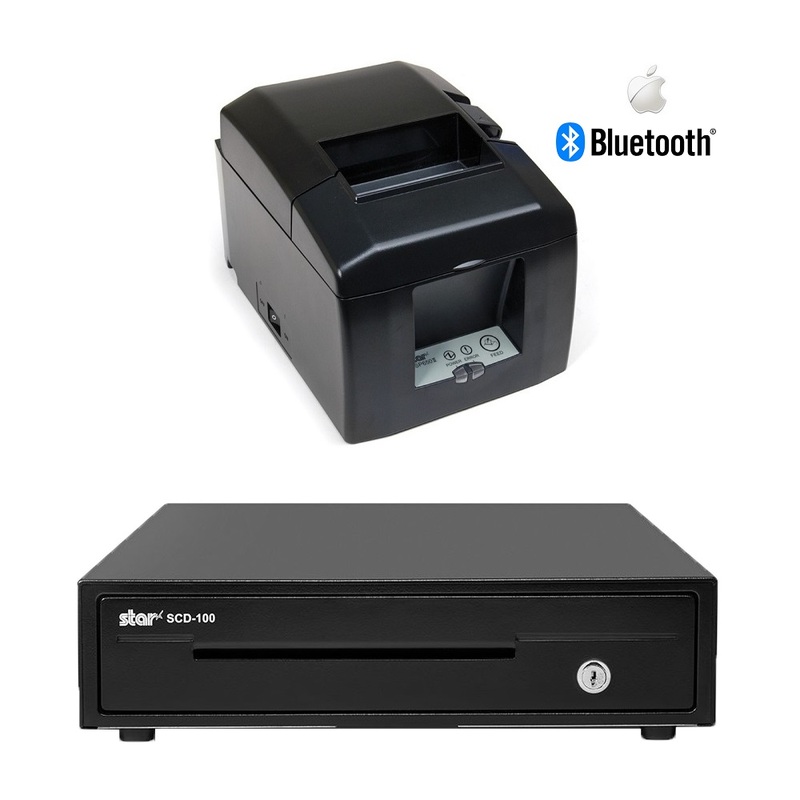 The Star TSP100 (TSP143ECO) USB Thermal Receipt Printer with Star SCD100 (SCD-100) compact Cash Drawer is a great combination and widely used with Cloud based applications running PC or MAC. Some of these applications include: Vend, Shopify, Kounta, Hike, Cin7, Vin65 & Neto just to name a few. 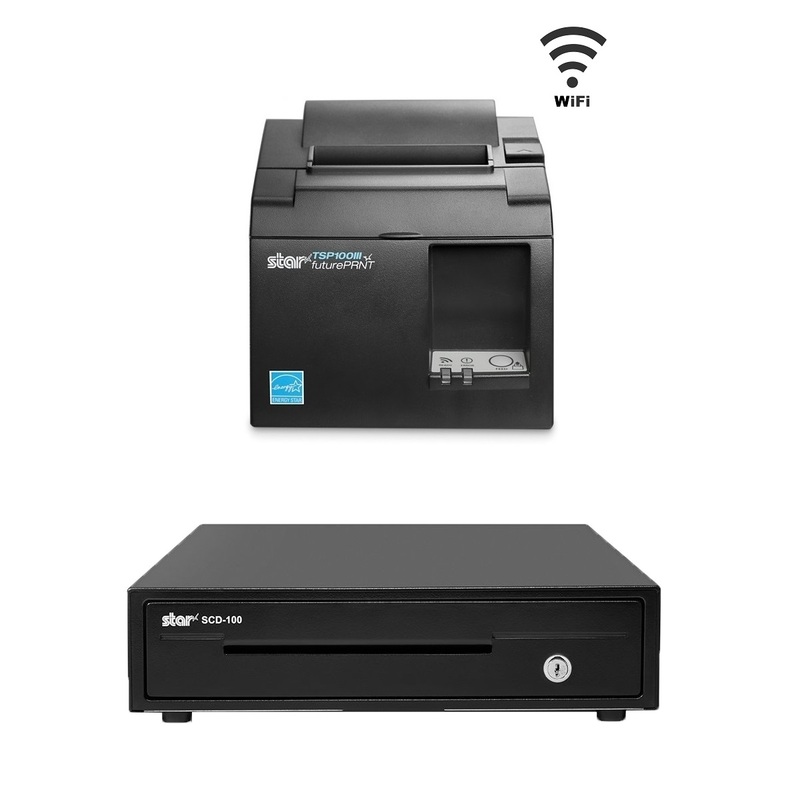 The Star TSP100 ECO USB Receipt Printer is the world's first ECO POS printer, further extends the legacy that is the TSP100 futurePRNT. The TSP100ECO supports Star's commitment to being ecologically responsible, while allowing Star to continue to provide a high-speed, software enriched, economical choice for users. TSP100 futurePRNT is the first All-in-One receipt printer on the market today! It is provided with a USB connection that provides an immediate "Plug&Play" installation which reduces the time of integration to minutes. The advantages of such a printer are evident for applications such as retail, restaurants, and convenience stores. This direct thermal printer is provided with all standard operating system drivers (Windows(TM), Linux(TM) and Mac(TM)) and specialty drivers such as OPOS(TM) and JPOS(TM). Star has also included a number of embedded simple utilities that will enhance Retail or Hospitality CRM in POS applications and therefore make the entire experience a charm. One year warranty for total peace of mind and can be extended to 3 years for FREE by registering the printer's serial # online with Star Micronics Australia. The Star Drawer is the perfect companion accessory to compliment your Star printer. The SCD-100 boasts an extremely compact footprint with zero compromise in flexibility and functionality at an affordable price.